In the flesh, the artist Amparo Sard is larger than life, standing over six feet tall, with a willowy dancer’s stature and remarkable hands. Sard has more than a passing resemblance to Angelina Jolie (albeit a softer, Spanish twin) with the soulfulness of Sissy Hankshaw from Tom Robbins’s classic novel Even Cowgirls Get the Blues. 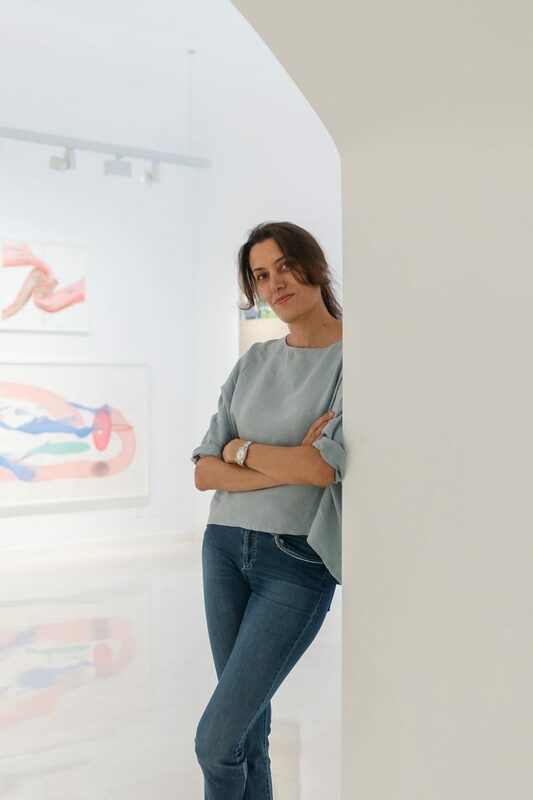 A self-described workaholic who is “exploring themes of energy, physical tension and human connection”, the prolific artist from Mallorca has had more than 30 shows internationally from New York to Beijing in the past decade. Amparo Sard grew up in picturesque Son Servera, a small village close to Mallorca’s eastern coast that has germinated some of the island’s most creative female personalities. Fashion designer Rosa Esteva of Cortana is from there, and the famously eccentric ceramicist Maria Antònia Carrió had her studio in the centre of town. Growing up, Sard studied ballet, gymnastics, music, and excelled in physics and mathematics in school. Her parents encouraged each of their children to explore what interested them, allowing them to experiment with different subjects that were not gender specific. Amparo recognised her artistic inclinations, but gravitated toward sciences. When Sard left Son Servera for Barcelona to study fine art at the University of Barcelona – where she has now been a professor of painting for 15 years – it was a 180-degree change. She learned to utilise her knowledge of mathematics and music in her artistic methodology. In her video installations, her ability to write and understand music has helped her instinctually in editing. “Studying music allows you to connect [the senses of vision and sound] in your mind,” she explains. It was also here she discovered philosophy and she references Freud often in her work, specifically the transcendence of our physicality into gendered energies. The critically-acclaimed, multi-disciplinary work of Sard has been described as delicate, beautiful, obsessive, and even spiritual. Themes of the emotional and the feminine are explored in her most recognisable oeuvre: pristine white swaths of paper punctured with tiny holes bring to mind the white-on-white embroidery of Spanish mantillas. Technically obsessive, these “drawings” require sitting for days using miniscule needles of varying sizes to puncture the paper’s smooth surface. Similar to the way needlepoint creates pattern by adding thread, the holes create images – self-portraits, hands, trees – through the use of negative space. Sard’s continuous experimentation with materials such as epoxy, polyurethane, photography and video allow for the expansion in scale of her work. 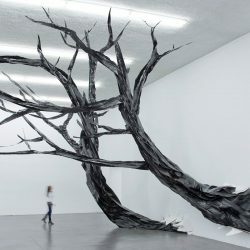 At the recent exhibition Displaced Landscape a macro-installation of life-size trees ‘grew’ out of enormous holes in the gallery walls. This year, Sard is preparing her solo exhibition for summer 2019 in Tenerife’s El Tanque Cultural Space. The large converted industrial oil tank is similar to a planetarium, the opposite of a typical white box exhibition space – a challenging and interesting place for an exhibition. “I am exploding with happiness to find this place,” she says with a grin. We look forward to seeing the light she will make of the vast darkness. 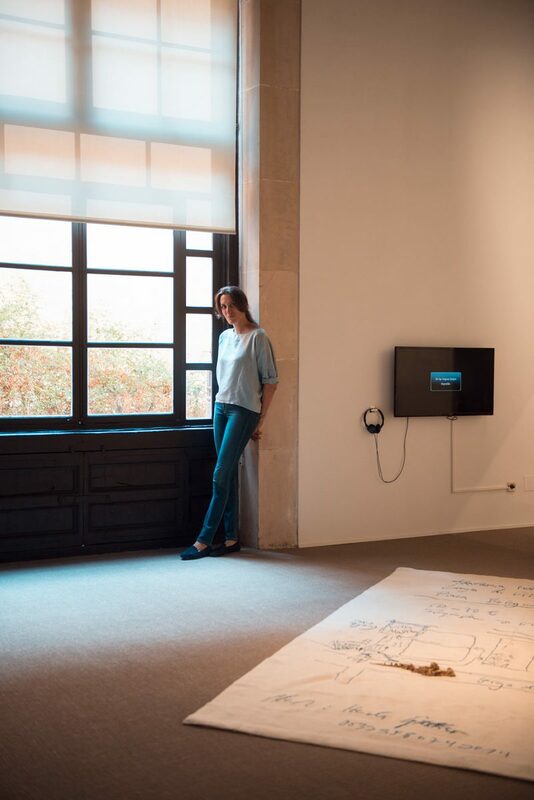 Sard’s work features in the permanent collections of the Guggenheim (NY), MoMA (NY), Loewe Foundation (Madrid), and CODA (Netherlands), and can also be found at the Pelaires Gallery in Palma.